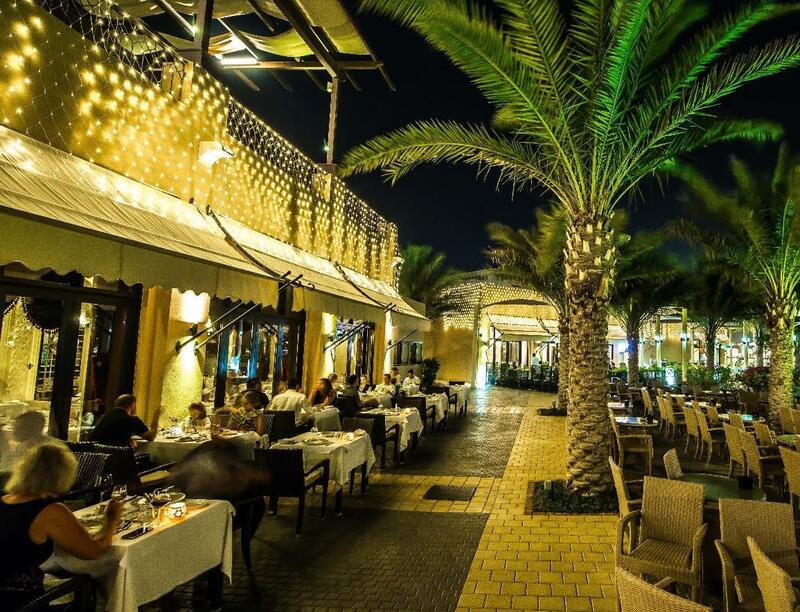 Ras Al Khaimah, UAE: At the break of dusk, the gardens of Rixos Bab Al Bahr will come to life with lavish Iftars celebrating the Holy month of Ramadan, at 2 vibrant venues within the resort. With amazing views and a luxuriant spread of the finest food, Seven Heights Restaurant in Rixos Bab Al Bahr offers a truly special way of observing the Holy Month. Indulge in one of UAE’s largest buffet offerings that feature a mouth-watering selection of Arabic inspired dishes, live cooking stations, assorted main dishes spanning from a variety of global cuisines, and an extensive menu of traditional and contemporary desserts. For a more intimate and private Iftar dining experience, head to dining hotspot Lalezar, and revel in an exotically set Middle Eastern cuisine, that takes its influence from the Turkish Ottoman cuisine, where the artful décor and traditional service completes the authentic effect. Starting from AED 199* per person. Available daily from sunset – 10: 30pm. Come together with family and friends to share an exceptional Iftar experience at Rixos Bab Al Bahr. Share your celebrations with colleagues, friends, or loved ones with group Iftar bookings amid the prestigious surroundings of Ras Al Khaimah’s Largest ballroom. Located at the heart of the city, the Ballroom Iftar is perfect for business groups and large groups of families. The opulent Ballroom Iftar is the definition of elegance, providing guests with the flamboyant extravagance signature to Rixos Bab Al Bahr. The Iftar buffet will showcase a variety of multinational cuisines that have been specially crafted by Executive Chef Bayram Okay for guests. For groups of between 50 and 500 people, the resort culinary team will cater an option of three buffet menus alongside a refreshing beverages menu. Starting from AED 175* per person, including food, beverage and venue. Available daily throughout Ramadan. Group consists of 27 hotels in countries included without limitation Turkey, United Arab Emirates, Croatia, Switzerland, Egypt and Kazakhstan. Rixos Hotels enjoys the best location of where they are. Rixos Hotels developed an innovative method of hospitality that blends the past and the present with the help of approximately 10.000 personnel at 27 facilities. Designed for a quintessential and luxury holiday experience, and equipped with state-of-the-art, the Rixos Villas are furnished with a modern and distinctive approach. All Rixos Hotels have a Health and SPA centre with a Turkish bath and excellent SPA experience in an authentic and relaxing experience. Rixos is preferred by elite and distinctive guests from all over the world. With hospitality, customised services and rich cuisine; The Rixos Hotels have so far been repeatedly awarded with the American Five Star Diamond Awards, Conde Nast, and Great Hotels of the World by international authorities. The Group is preferred by remarkable travel agencies and tour operators.